It found lyrics for all the songs we tried! 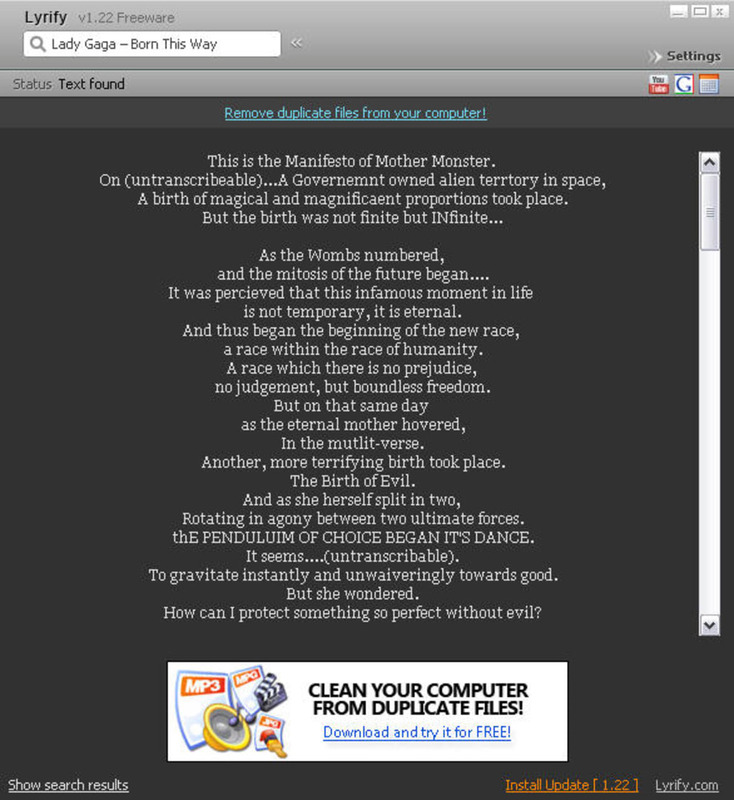 Lyrify is a free lyrics plug-in that works in perfect harmony with Spotify. It displays the lyrics for the song you’re currently playing in Spotify, and also lets you search its database for any other title you may want to sing along. When you launch Lyrify the program instantly grabs whatever music is sounding through Spotify and displays the lyrics on its interface. If there are multiple results, the list appears at the bottom of the window, from where you can click on the right one. 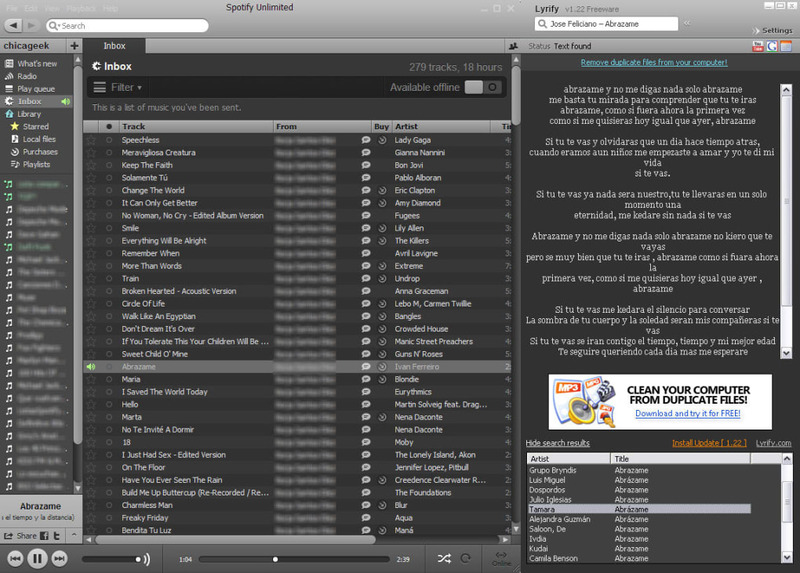 Unfortunately every time a new song starts Lyrify grabs focus and that can get quite annoying. 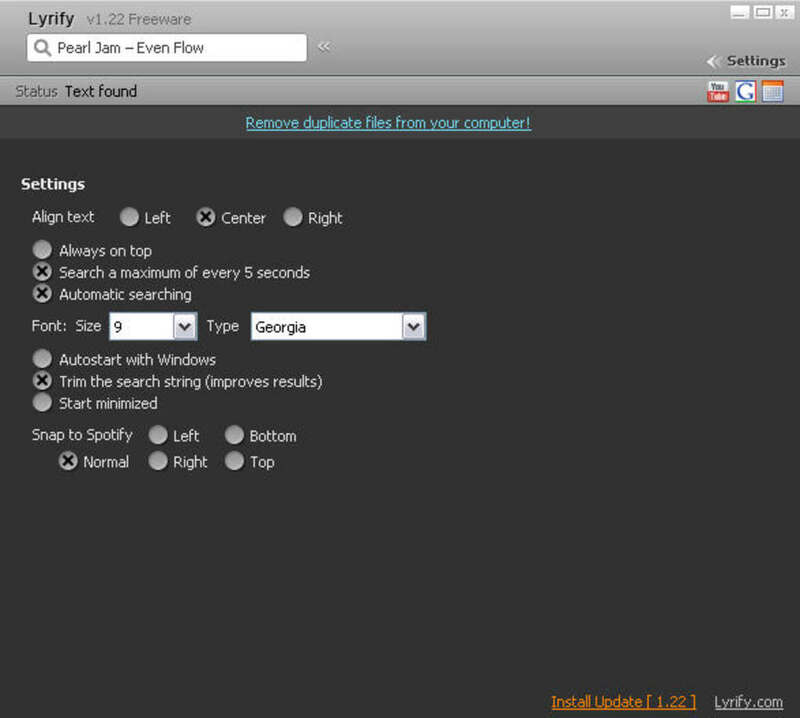 The configuration settings in Lyrify let you tweak the way lyrics are displayed, the text font and whether you want the program’s window to snap to Spotify. As they share the same color and design, they look really nice together – though they may take quite a lot of space. Other interesting features in Lyrify are the buttons to search for videos related to the selected song on YouTube and revise cached lyrics. 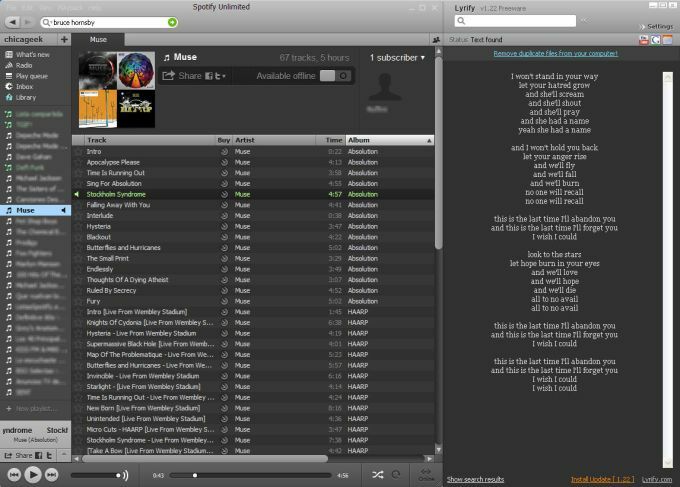 Lyrify is a great lyrics add-on for Spotify that lets you sing along your favorite songs. This is full of malware. Do not install.. This app installed up to 4 known malware/adware/spyware items on my computer the moment I hit install. Two of which were key registry items, one IE browser addon that changed my homepage. Even after attempting to uninstall everything I still get weird search results pages showing up and opened up 4 tabs to Bing, Yahoo and two other strange search pages. It logged me out of everything and knocked off my Lastpass so it wouldn't auto start. I didn't install it from this website, but went to Lyrify directly. Lyrify - make version with karaoke. Except from some &quot;none&quot; - popular music is lyrics not available it seems to work flawlessly. Why not make a version which support karaoke timinings, likes the ones made for winamp. That would really fullfill the lyrify functionality (maybe put this feature in a pro version for et. 10$ or so.) - if you make it compatible there's already lots of available lyric timings out there.. 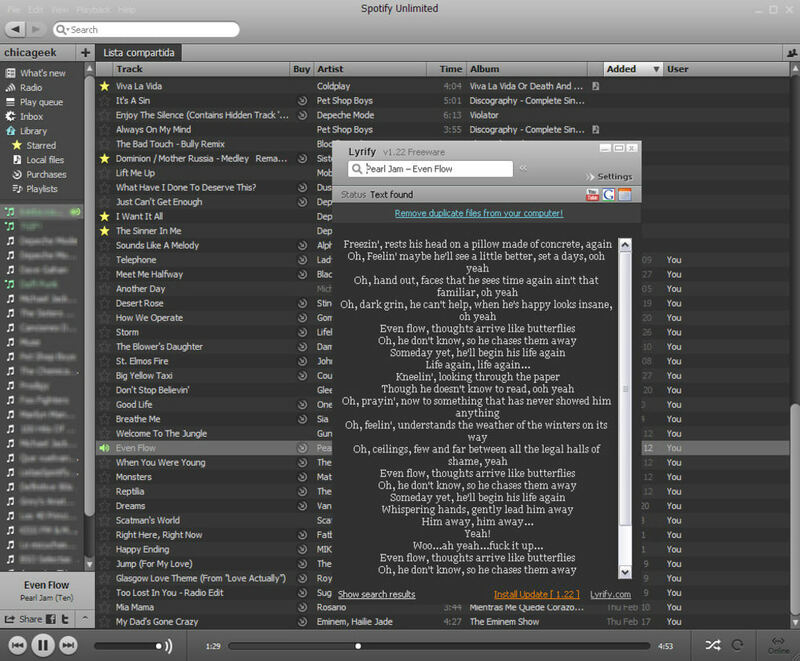 Except from some &quot;none&quot; - popular music is lyrics not available it seems to work flawlessly. Why not make a version which supports karaoke timinings, likes the ones made for winamp. That would really fullfill the lyrify functionality to the top .. (maybe put this feature in a pro version for et. 10$ or make it commercial with banner ads) - if you make it compatible there's already lots of available lyric timings out there..
What do you think about Lyrify? Do you recommend it? Why?